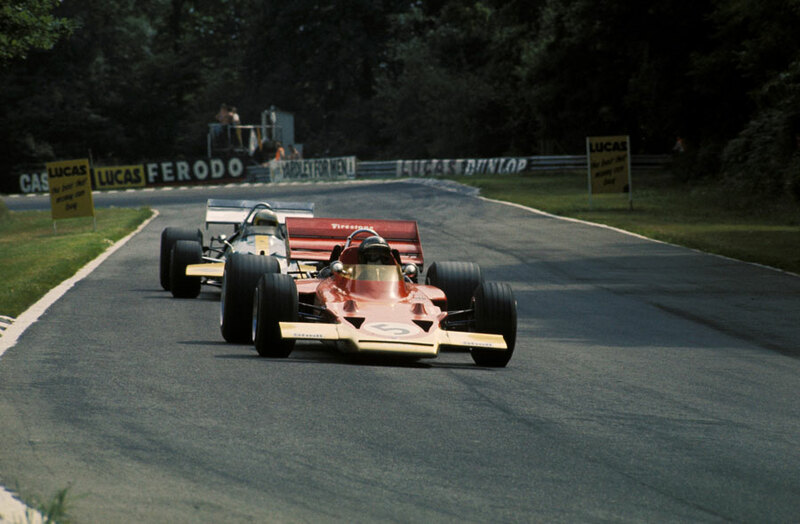 Jochen Rindt's third successive win underlined that the early-season doubts over the stability of the Lotus 72 were unfounded, but he had to survive disqualification and then reinstatement before he could celebrate victory at the British Grand Prix. "The real pity was it followed the 1970s pattern of disputed motor races," wrote Eric Dymock in The Guardian. "Nearly every round this year has been marred by disagreements of one sort or another, and at Brands Hatch it seemed even the referees could not reach a quick, clear decision. Things will need to change, or motor racing will get a bad name." The row involving Lotus and the stewards over an obscure technical ruling overshadowed a thrilling finish in which Jack Brabham had seemed certain to win only for the race to be snatched away from him on the last corner for the second time in the season. At Monaco, he slid into straw bales after braking too late; at Brands Hatch his engine spluttered and then stopped, leaving him helpless as Rindt shot past and Brabham could do no more than coast over the line. It later emerged his car had suffered from a fuel leak. As a furious Brabham walked tight-lipped past reporters, the stewards got to work. When the chief scrutineer measured the rear aerofoils on the Lotus he found the height on the limit. But the struts were bent, and when he asked team boss Colin Chapman to straighten them, Chapman refused. A furious row followed before Chapman acquiesced, and it was then announced the foil was 2cm too high. Three hours and 16 measurements later, the stewards decided it was 1cm within the limit. This dominated media coverage of what had been an excellent weekend which started with Rindt earning 100 bottles of champagne for setting a new lap record in practice. In the race itself, Jacky Ickx built a good lead before his Ferrari's engine blew, and from then on a crowd of 60,000 were enthralled as Rindt was chased lap after lap by Brabham, who was always within three or four car lengths of the Lotus. Twelve laps from the end Rindt missed a gear change and Brabham pounced. He then built a lead of around 15 seconds, until it all went wrong within sight of the chequered flag.